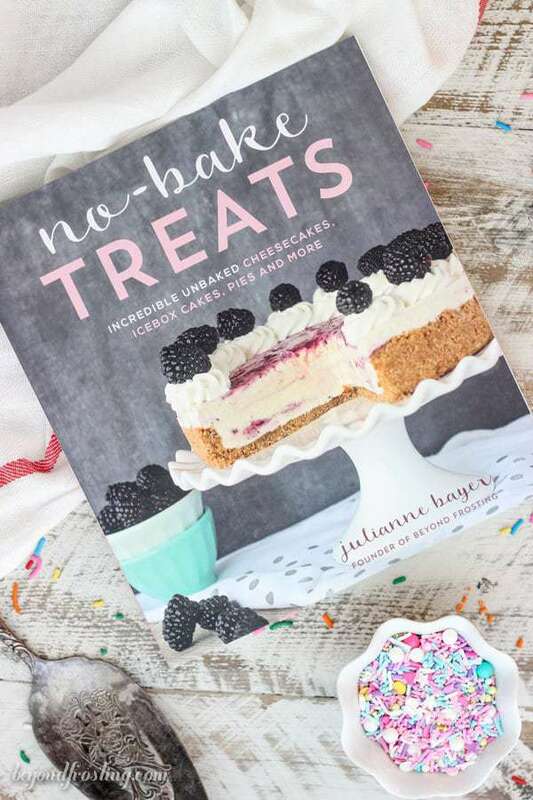 It’s no secret at this point that Tuesday marked the official release of my cookbook, No-Bake Treats. As you know, I’ve been counting down for months, weeks and days until it officially started shipping this past week. It’s been a year in the making, and I can’t believe the time is finally here! I know I’ve already shared some behind the scenes photo when I announced my presale, and I also shared my behind the scenes photos from my trip to QVC. Today I want to celebrate with an awesome giveaway as a way of saying THANK YOU for you endless support. I’ve received dozens and dozens of photos, comments and messages from those of you who purchased the book. I just LOVE seeing your photos. 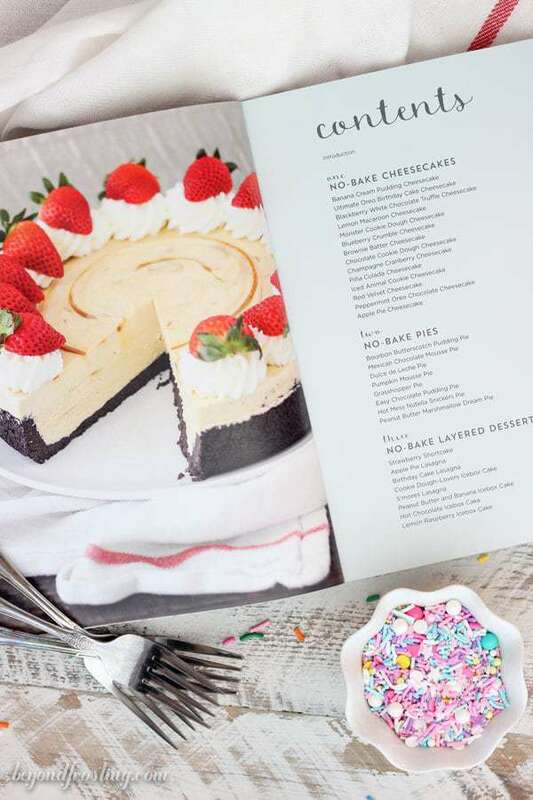 Make sure to tag me @beyondfrosting on your social media or use the hashtag #beyondfrostingcookbook so I can take a peek. This book would not be possible without the support of you, my readers and my family and friends who have supported me along the way. I am sure the endless amount of desserts helped. So where can you actually buy it? Amazon , Barnes and Noble , Indie Bound, Books- A- Million and wherever books are sold. You might want to also check you local bookstore. My friend send me a photo earlier this week, she found my book in her local bookstore! No-bake recipes are one of the more popular categories on my blog, so I know that it’s something you would enjoy. 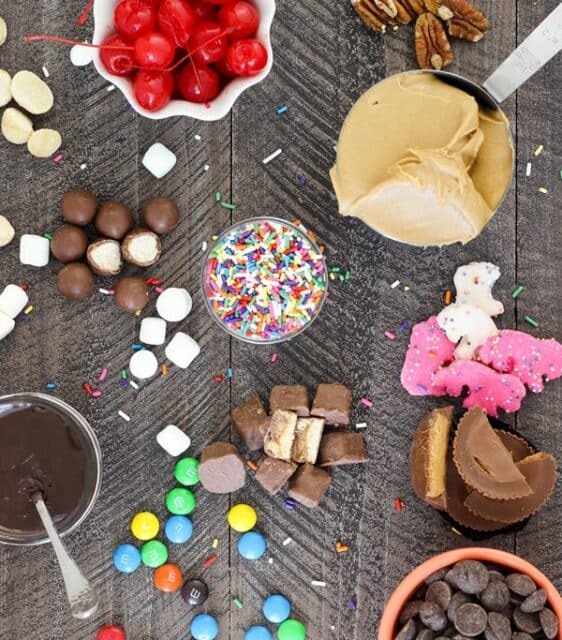 I really wanted to take your average no-bake dessert and blow your mind. A lot of people tell me that they don’t love no-bake dessert, but they really have no idea what you can do with them. 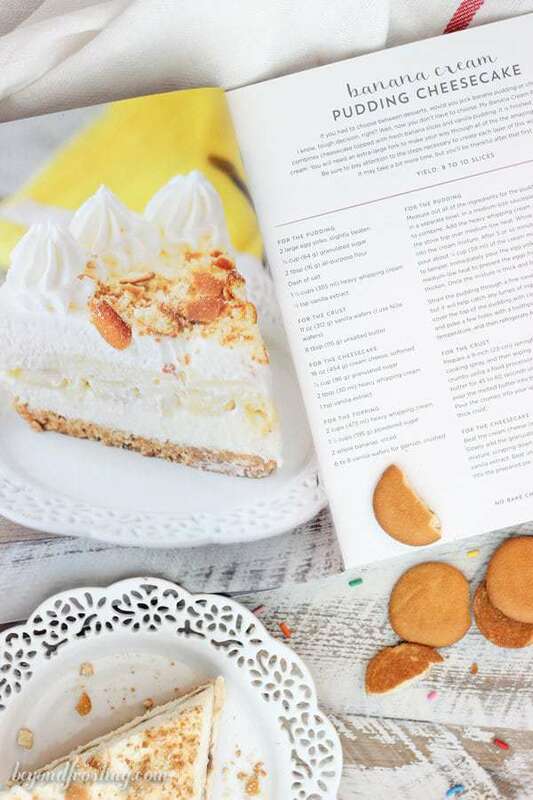 Often times when people tried my desserts for the book, they didn’t even realize they were eating a no-bake dessert. I also think that baking can be very intimidating for some, myself included too. 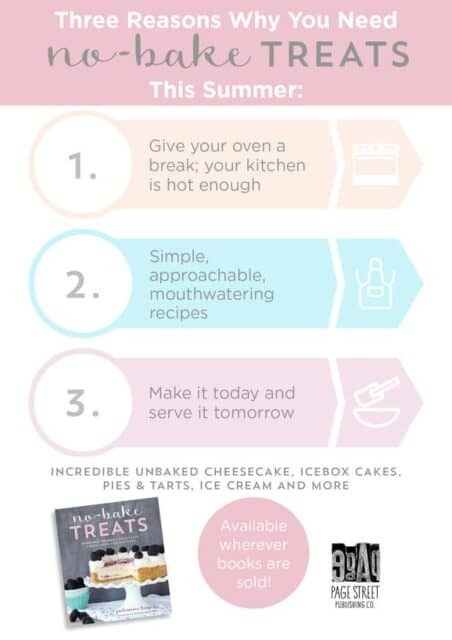 So I wanted simple and approachable recipes for bakers (or non-bakers) at every level. I want to take you out of your comfort zone and challenge you to make your own homemade pudding and fresh whipped cream. 99% of the recipes in my book are made from scratch (minus the crusts!). I want you to experience the same joy I felt when I learned a new technique or when I sliced into the middle of the cheesecake and was in awe at how beautiful it was. I want you to prepare a dessert for your loved ones and watch their faces when they take that first bite. These reasons and more are what kept me going when I felt there was no end in sight. In the end, all the late nights, missed happy hours and vacations, endless dishes (seriously, they never ended), tears and fears of failure were totally worth it. In case you haven’t picked up a copy, I want you to know exactly what it is that you’re getting. There’s a whole section with tips and tricks where I talk about choosing the perfect crust and some techniques I use for garnishing my desserts. This is where you can make it your own! I love seeing the different variations on my recipes that you come up with. Speaking of crust, I shared a wonderful video for some more tips on making the perfect no-bake crust in a springform pan. I use a springform pan for a lot of my recipes, and you’ll want to see why. Again, the crust is such a key player in more desserts. I like to get a nice thick bite of crust together with the filling. 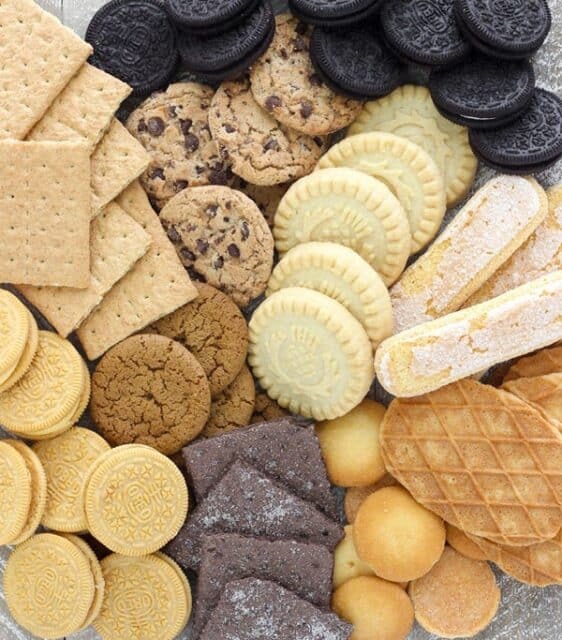 So you can choose your own type of crust to suite your preferences. Lot of my friends are sharing recipes from my cookbook to help me celebrate. So I will be updating this post with more links as they become available. Now let’s take a look at the giveaway!! There’s lots of good stuff up for grabs! Disclaimer: Giveaway is open to legal US residents only age 18 and older. Void where prohibited or restricted by law. The giveaway is going to run July 22, 2016 at 12:01am EST and closes August 6, 2016 at 11:59 PM EST. Multiple eligible winner will chosen at random and will be notified (via the email used to enter this content) within 48 hours of the closing of the giveaway. The winner will have 48 hours from the time of notification to claim their prize. If no response is received within 48 hours, a new winner will be chosen. The cycle will continue until an eligible winner has claimed their prize. 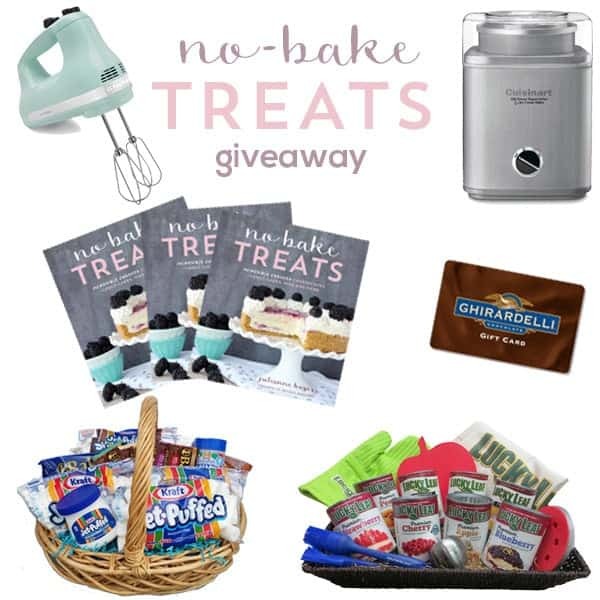 This giveaway is sponsored by Beyond Frosting and is in no way affiliated with Facebook, Pinterest, Instagram or Twitter. Thank you to Kraft Jet-Puffed Marshmallows and Lucky Leaf Pie filling for providing gift baskets. I made your Apple Pie Lasagna for my husband’s birthday dessert… it is REALLY fantastic! I love to bake and my family gets to pick whatever they want for their birthday from my Pinterest boards whether that be cake, cheesecake, pie, cookies, or any other type of dessert. My husband said it is one of the best desserts EVER! Thanks for the recipe and the giveaway and mostly congrats on your new book! I am still reading through your cookbook. So many fabulous recipes to try! Thank you for offering this awesome giveaway! This book is not only beautiful to look at but contains some awesome recipes! I had the privilege of helping test a few of the recipes and could not wait until the book was completed! 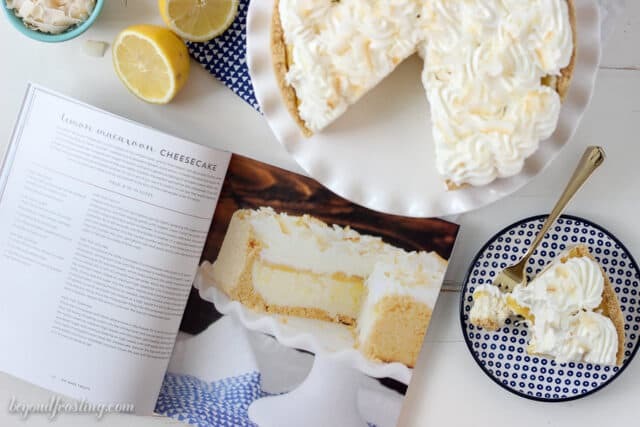 On hot summer days like we are experiencing here in Wisconsin right now, I appreciate a book that contains delicious recipes that will not heat up the kitchen! The recipes are easy to follow and manageable for even beginners. Enjoy – I know I will!! Hi Joyce! Thank you so much for your kind words. It was such a pleasure working with you. I tracked my order I made way back when and my copy should be delivered today! I am so excited! YEAH! Thank you so much for the support Misha! I hope you enjoy it! I would love for you to share photos of the recipes you make! I finally received my copy yesterday. I sat down with the book and I think I may have damaged it drooling on it. I plan on making one recipe this weekend. The hard part is deciding which one first. I wish you the best success with this book and look forward to the next one. Hi Bernadette! Wow! Thank you so very much! i am so glad that you like it. I can’t wait to see what you make!